Art in Industry looks back at a time when Americans embraced artistic skills as a way to build a consumer-oriented industrial economy. 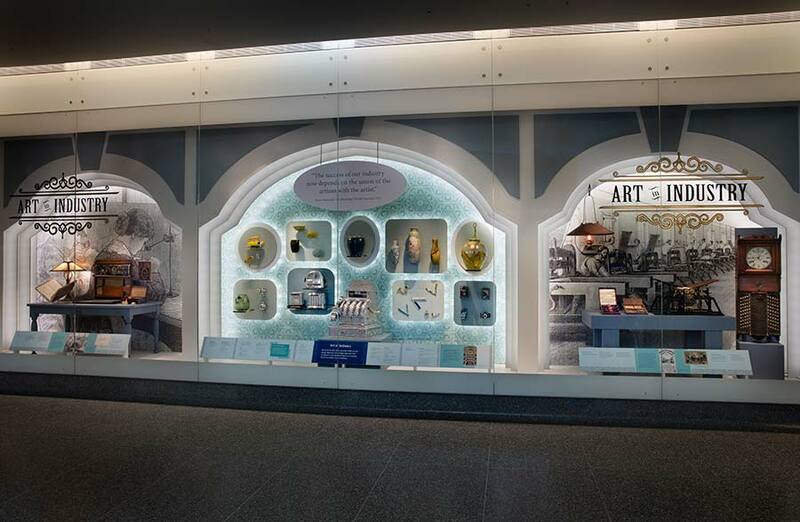 This display features artistic industries as varied as publishing and pottery from the 1830s to the 1930s through three lenses: learning, working, and selling. Examining movements including the Arts and Crafts Movement and industrial design, the display showcases objects such as an 1894 ornate cash register, electric toasters, pocket watches, cameras, and ceramics, including vases and tableware. Also on view are a copy of the first American drawing manual and other educational materials, engraving tools, and drawing instruments.